I hope you all enjoyed the summer holidays and I hope the children have come back eager and enthusiastic to learn. We have lots of exciting learning opportunities planned for them. Keep visiting our class page to view new photographs and find out what has been going on in year 5/6. Please do not hesitate to contact me or drop in for a chat before or after school starts if you have any questions or concerns. Thank you for your continued support. We had a great time learning about the growing and harvesting of different fruits and vegetables at Bedwellty Park kitchen garden. Our little scientists had a great time learning about the heart. We enjoyed being mini scientists making blood and finding out why we need it. 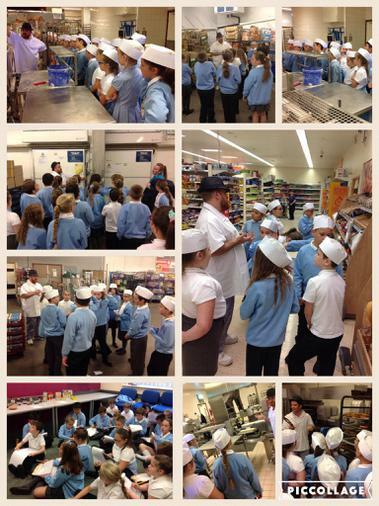 Year 5/6 had a great time learning about Harvest foods at Tesco in Ebbw Vale today. 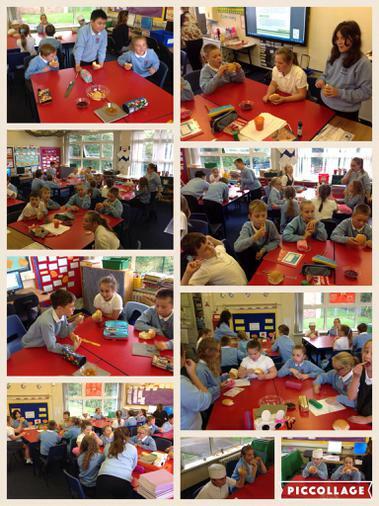 A big thanks to Tesco for donating Harvest foods for them to try this afternoon. Despite the result, we had a great day supporting Wales in the football!